Zee 24 Taas, the first 24-hour Marathi News Channel of India has revised its programming strategy in prime time by launching few new shows starting 17th August onwards. The new programming explores new frontiers in Marathi news genre as Zee 24 Taas has always been a pioneer and a thought leader in the field of regional news. The content driven programming on Zee 24 Taas covers all genres, right from hard-hitting news to social service content, from politics to glamour and sporting events. Aapla Shahar Aapla Awaaz a 24 city LIVE activation, Ananya Sanman an honoring ceremony celebrating un-sung heroes of Maharashtra, and ï¿½State Summit, a distinctive forum to discuss the growth plan of Maharashtra, are a part of Zee 24 Taas's few path breaking initiatives. 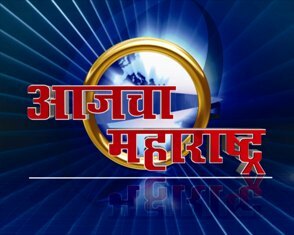 Zee 24 Taas created history by becoming the first 24-hour Marathi news channel in Maharashtra in February 2007. The channel revolutionized the way Marathi news was brought home to the viewers in Maharashtra. Content is the key for Zee 24 Taas & more emphasis are given on breaking & exclusive news. Its main focus is on issues directly related to common man. The presentation style is superior & channel is matured & well informed compared to competition. Zee 24 Taas is perceived as core Marathi news channel in Maharashtra and today, Zee 24 Teas reaches more than 9.5 million viewers across Maharashtra.